This shop has been compensated by Collective Bias, Inc. and its advertiser. All opinions are mine alone. 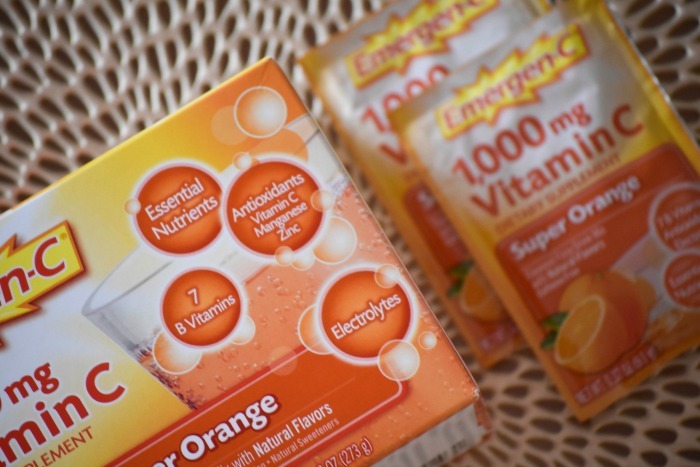 #HowDoYouEmergenC #CollectiveBias. Alright guys, it's getting colder out - winter's a' coming which means we need to take extra good care of our bodies! Since I work with little kids a lot, I go out of my way to stay on top of all my supplements. 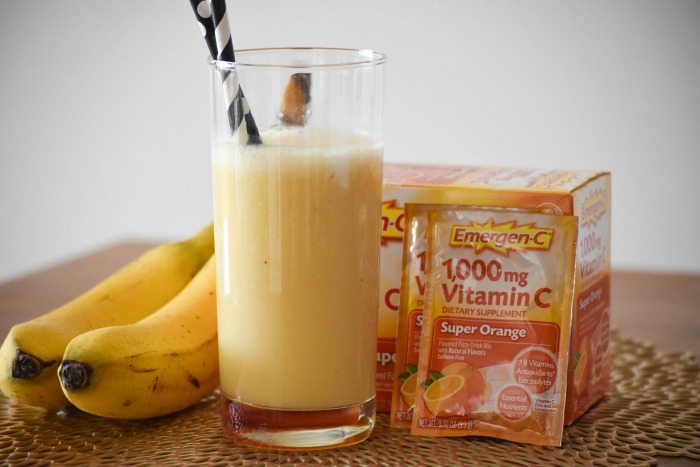 I tend to get sick often so vitamin C's an absolute must in my book - I take Emergen-C to support my healthy lifestyle. I feel more refreshed taking it during the winter months, which brings me to today's post. 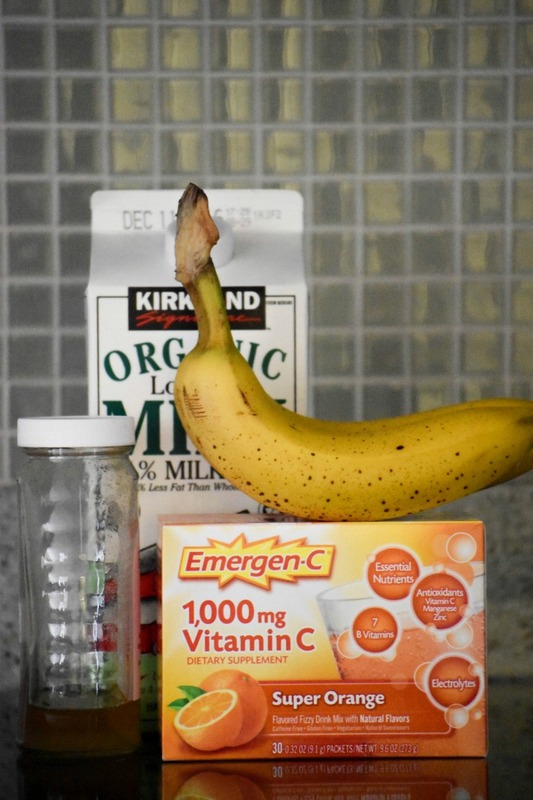 I'll be sharing my favorite Emergen-C smoothie recipe with you guys. My drink's super easy to make because it only has 4 ingredients. 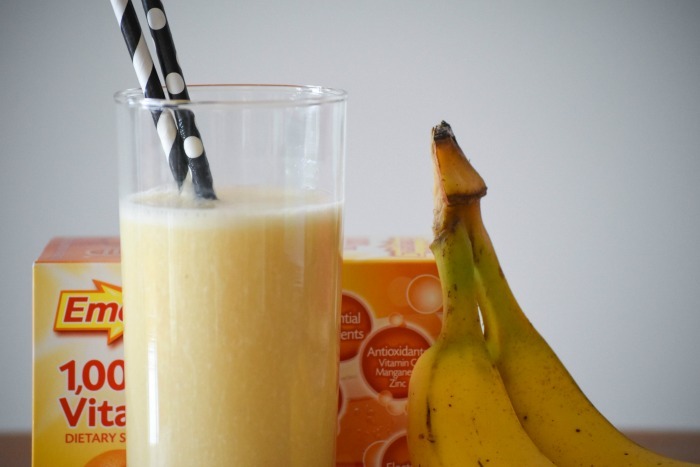 Simply take 1 super ripe banana, 1 cup of skim milk, 2 teaspoons of honey, 1 packet of Emergen-C Super Orange and blend it all together. If you want something sweeter, just throw in more honey. Maple syrup works, too! 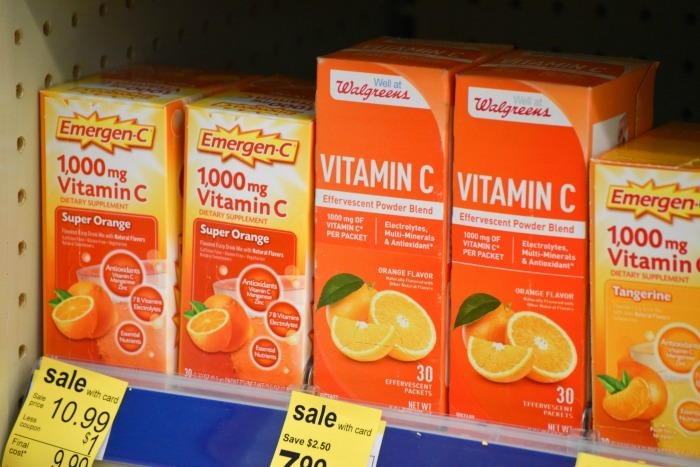 For those of you interested, Emergen-C is available at Walgreens! There are over 20 flavors so you guys have several options to choose from. Have you guys tried it? If yes, what's your favorite flavor? Mine's Super Orange. How do you guys stay healthy during the wintertime? Do you take supplements? Oh and BTW, if this recipe didn't tickle your fancy, you can try the different ones here. I've tried several of these, and they're all good. I especially liked Eye-Popping Popsicles and Smooth Raz.